I finished the last breakdown of my sets last night. Yeesh! 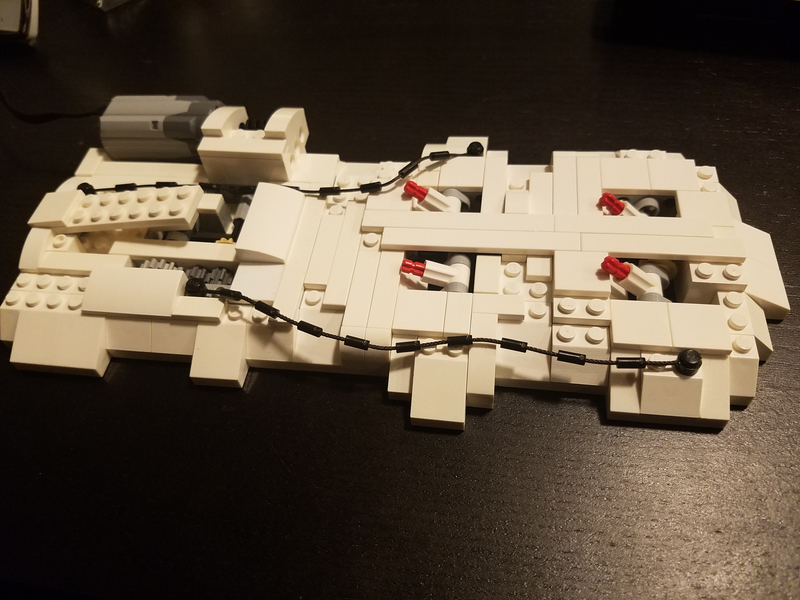 Admittedly, Lego is almost more about the building process for me than the displaying process (though the WV is sort of the exception to that). I'm excited to get to rebuild everything next year for a second time! @eMJeeNL, when taking apart my WV Station, I had three of those same reddish brown 1x1 clips just crumble. Considering the set is less than 4 months old, I was more than shocked! I'll file for some replacement parts this afternoon as I had 4 parts on my Cottage also completely cracked in half. @snowhitie, after spending all the time removing those blasted 1x1 tiles from the Cottage floor, I may take a hint from you and leave them next year! I'm fairly particular about how they line up once on the floor too, so I spent a decent amount of time aligning them. I could likely save significant time on both ends if I just kept them there. Lesson learned! Well done on getting it all packed up though, must feel good. It was sad and a relief all at the same time. Having planned for nearly a full year and putting it together and then seeing it come to life was extremely satisfying and rewarding. So, in just over a month, to take it all apart was sad. However, my wife and I are expecting our third in just over seven weeks, so we certainly can use the room for other things! So in that respect, a HUGE relief to have one less thing to think about! Congrats!! One more to turn to the Lego side. As much as I love building sets I prefer to leave my winter village stuff assembled and store them in plastic totes. I am just too worried about breaking anything while taking something apart. I leave my other sets assembled too but those are year-round displays. I'm going to work on putting everything away this weekend and hopefully build an extension table for my permanent display so I can put out my Fishing Store and Ninjago City (and also have room for when my wife gets/builds the Joker Manor). I have mentioned before that I often use sets outside winter village to really expand what I have available for the holiday or right after. The above is from 3 Frozen castle I managed at 50% off. While I might not have it next to my winter village, I might have it displayed at the same time in another location, or put it up right after my winter village. Anyway... point... lots of various options to really create some fun holiday scenes besides just the actual winter village sets. I love it @tamamahm! I've actually had a similar thought as to a "secondary display" I could put up with items like what you've done. Maybe not a true fit in the actual Village, but certainly of great help to build the winter spirit in and around the home! Thanks for the post! 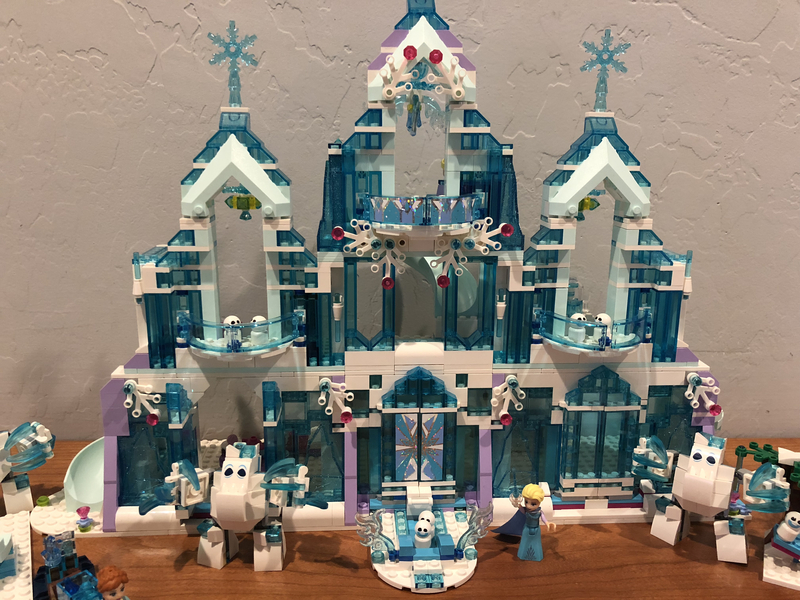 There is a local seller on Craigslist that tends to list Disney sets, and occasionally the Frozen sets. Now that I have some inspiration from your photos, I'll have to keep a closer watch to see if I can't snag some for a great deal. 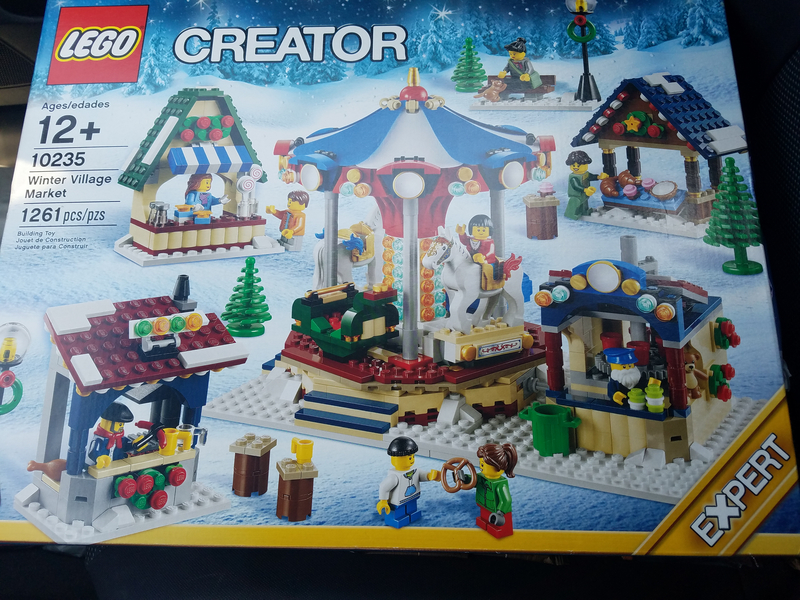 I unfortunately missed out on a #10235 Winter Village Market this week on Ebay. My bidding skills are a bit rusty. Who knows what the highest bid input by the winner was, but I was outbid by $.21. I had to talk myself off the ledge after seeing I lost. I anticipate being able to snag a copy in the near future. I'm also in the process of piecing together a #10222 Winter Village Post Office. I found a seller who produces aftermarket stickers and produces them for the Post Office. The quality looks good, and his price of $8 is way better than dropping $37+. I may go that route depending on how much the rest takes to put together. Anytime I make a BL or Bricks and Pieces order, I try to search out anything else from the seller I could use. I'm anticipating having a whole lot more this year than last. Which is good and bad! I think I may be in the opposite boat this year, with not as many winter/holiday sets. 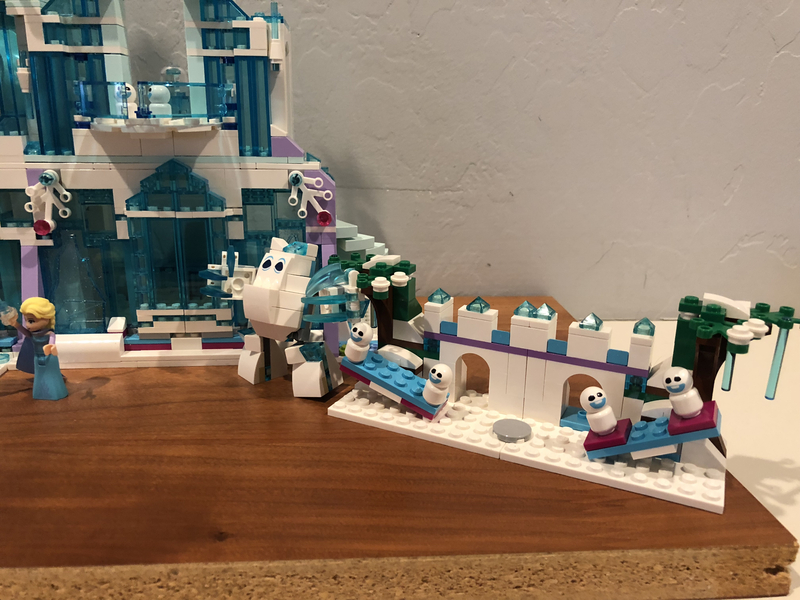 I had all Friends ski sets last year, the train station, and did just complete the above project. I will be very happy if they have a new winter Village set again, and not a repeat, but I am currently not expecting the sheer size/scale of what I have had to work with for winter as of late. It may be time to focus on Halloween. I have saved a few of my Monster Fighters set to still build... everything from the Zombie set, the Train, castle and workshop. Of course, Ninjago is probsbly my next key focus... I am pulling out my spring Ninjago sets today, and Ninjago City beckons to be built and the docks are a must buy. @Switchfoot55 Did you see this review up today? 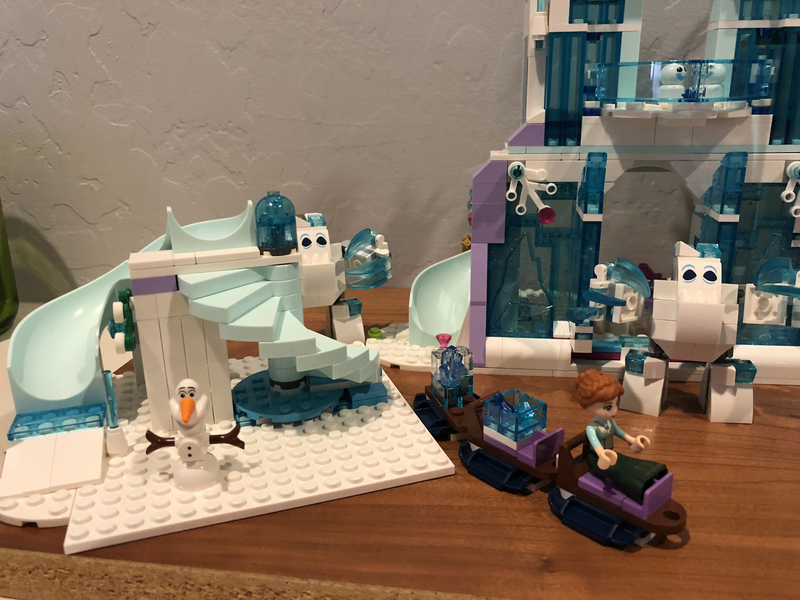 Talk about three wonderful winter minifigs to populate a winter village... plus a husky. The bonus is snow shoes, a bit of a mini snow feature and a snowmobile... all potentially usable or modifiable for a winter village. 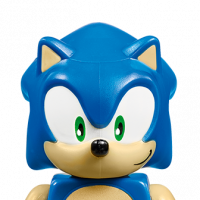 @tamamahm, I saw it originally in the Leaks thread and instantly put it on my "Must Buy" list! I figure a couple of those would really help fill out the general feel nicely. Plus I love the winter hat with the ear flaps for the guy in red. I've been trying to acquire a few of the smaller to medium sized 3-in-1 Creator house builds to fill in the village too. Also, though a bit of an unfortunate error on the part of the business, made a connection with the owner of a local Bricks and Minifigs. 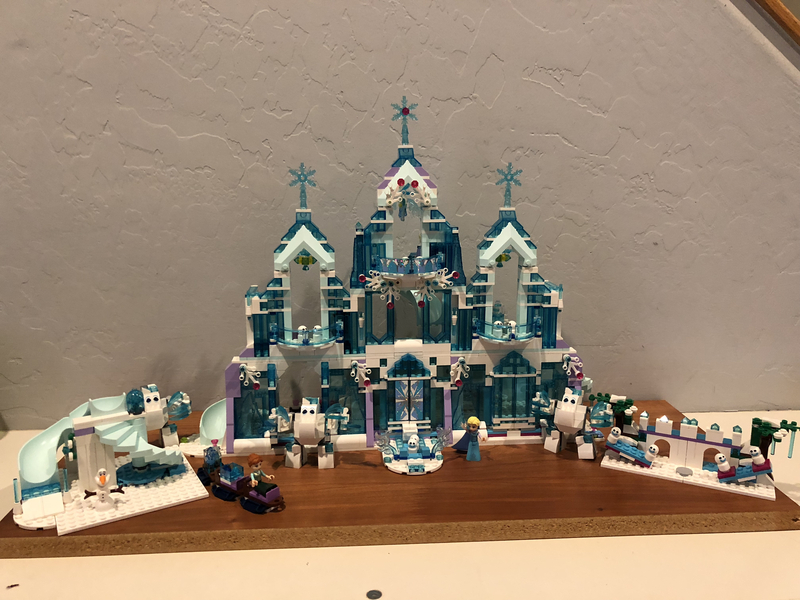 He told me last year he had more Winter Village sets than he knew what to do with, and they all started rolling in right around November. I have a handful of items I was planning on trying to sell to generate some cash, but might hold off and see if I can't just put it toward trade in value and snag a few more sets. Time will tell I guess. My local Lego store also has some great elements on the PAB wall too, so I'll hopefully be able to fill a few cups up. 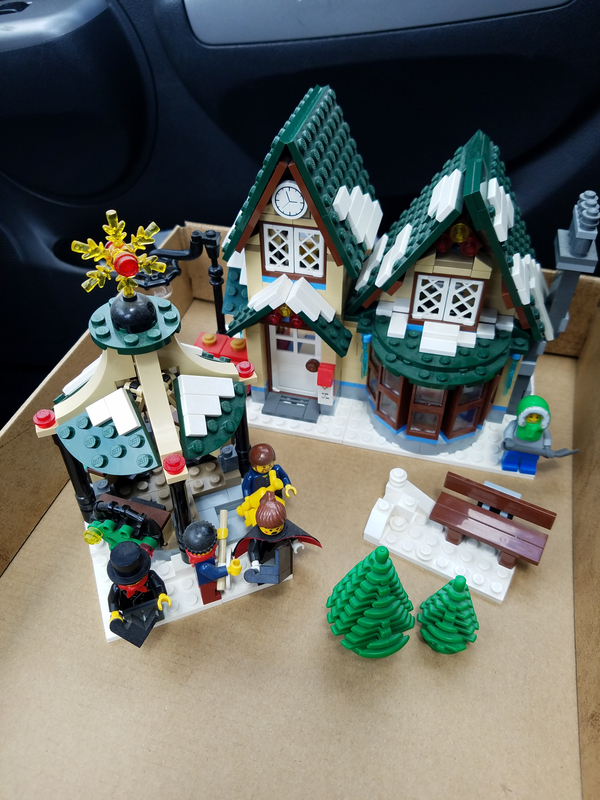 Looks like I may get a chance to snag a sealed #10235 Winter Village Market for $100 off the Facebook Marketplace. I've been stalking Ebay for the last couple of months and have missed out on a few opportunities. This would make up for all of those. Fingers crossed the lady actually follows through! Well, somehow a deal I worked out actually came true! Not to bad to be paying RRP 5 years later (and without tax too)! The same seller sent me pics of some other opened WV sets she has had for a long time. It includes the Post Office. I told her if she ever wanted to sell those, price depending, I'd definitely be a buyer. I singled out the Post Office as the main set I was interested in (though I wouldn't mind a second Bakery, Toy Store, and Cottage!). When I went to pick up the above set yesterday she let me know what she doesn't think the Post Office is complete (missing the mail truck and a fig or two from what I can see). She is going to look things over, but said if it isn't 100% complete, then she'll likely just give it to me for free. I'm fairly certain my jaw literally hit the floor. I offered to pay her still, but she insisted and said that because I'm building a new WV for my family, that it would be her gift to me. I'm not holding my breath by any means, but I'm pretty excited about the possibility to say the least! The truck and figs would be easy enough to part out on BL. That would complete the official WV set collection (minus the original Toy Shop) and allow me to focus more on filling out the scene. How exciting!! It would be pretty great if that works out. ^^ If I were you I would definitely get another cottage if you can. You could do a mirror build/color swap and increase your villages neighborhood. I think that's the thing the WV line is sorely lacking, more homes to fill it up. Though I guess we can just settle for sets like #31038 Changing Seasons and what not. I am so jealous right now. Lucky you. Guess the shark-carts are either going to be deer- or sled-carts (or both); the skull will be replaced by a Christmas-tree, and the boat... dunno yet. Probably going to leave the castle-part mostly as-is, and just decorate it in X-mas style. All additional idea more than welcome! @mustang69, I definitely agree about multiple cottages! I missed out on one on OfferUp recently for $20 (it still hurts...). 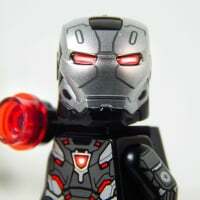 I'd easily re-purpose, mirror, or run duplicates of any of the official WV sets. I feel like the mental picture of what I have in my head of my final WV scene won't be complete until it's filled out with other residence type buildings. I plan on working #4996 (Beach House), #7346 (Seaside House), and #31048 (Lakeside Lodge) into my scene this year. I'm still hoping to come across a Changing Seasons set for a reasonable price. ^I totally know what you mean about the Cottage. It certainly dwarfs all of the other official buildings. My ultimately layout plan does have it a bit further away from the rest of the town buildings so the scale isn't quite noticeable. Still, I'd love a second, even if only for the parts to make a couple of new smaller buildings. Minor update, but it's looking like a 99% chance I'll be gifted #10222 WV Post Office! The seller of the Market is out of town, but we've exchanged messages and she's assured me she'll set a time/place to meet when she's back to give me the set. Needless to say, this may help make up for all the killer offers/sales I've missed out on over the last couple of years. July 1st is now circled on my calendar! So I think I've decided I'd like to motorize my Carousel from the WV market. I've looked at a few videos on YouTube and it seems fairly straight forward. 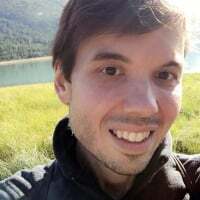 However, I have such limited experience with PF stuff, I'm wondering what the most effective way to go about things would be. Does anyone have experience with this that could provide some insights? I think at minimum I'd only need the 9v Battery Box and M PF motor (with the appropriate axles and gears/worm screw), correct? I wouldn't need the polarity switch I don't think (though could be wrong). I'd hate to spend $30 on #8293 when I could likely get those two items from BL for $10 + Shipping, give or take. As much as the lights in the PF set would be fun, I have other plans to light things up and the additional $15 I'd save could also go elsewhere. I'd likely build another "out building" of sorts to hide the battery and motor so it was less of an eye sore. ^No need for polarity switch unless you want the ability to rotate in either direction. As a semi-related question, can multiple M motors be ran off the same battery box? I also ran across JKBrickworks motorized Santa's sleigh and reindeer instructions yesterday when looking at motorized options for the Market and feel if I do one, I might as well do them both. Not sure that I'd be able to run both options off the same motor? I'm sure the motor would be capable of running both devices (someone could correct me), but I'd be more limited by getting power to both of them as they're not necessarily right next to each other in my village layout. ^ Yep, you can run multiple (at least two I know for sure) M-Motors off of one battery box. I have my Ferris Wheel and Carousel running on one box. When I get the roller coaster I'll add that to it, though I will probably need to get one of the extension cords. I'm about the pull the trigger on buying and figured I'd ask. One is for AA, the other is for AAA. I can officially say I own the WV Post Office now! Well, sans the mail truck and some figs that will need to be purchased. I was generously given the items above by the same individual I bought the WV Market from. She felt compelled to bless my family with it after discussing my WV plans. On top of that, I gained an additional ice pond scene from the Bakery and a couple more carolers! Now my debate is whether I want to pull the trigger and buy replacement parts for the truck with original stickers, or buy blanks and buy some aftermarket stickers to use in place of the originals. $15 just for the two red panels with stickers on the truck is a tough pill to swallow. ....granted, I just was given an expensive set for free, so it's still a net positive. Decisions decisions! If anyone has a spare set of instructions for the Post Office laying around and would like to part with them, please let me know! Looking to get some opinion regarding the replacement parts I need for the Post Office with the stickers. I have four stickered parts to replace: the two red larger red panels on the truck and two license plate tiles. Looking at current USA sellers on BL, it will cost me approximately $18 + shipping for just those parts. That's contrasted to roughly $0.32 for just the parts by themselves. I've sourced a higher quality aftermarket sticker sheet for $10 after shipping. So the difference of original stickers vs. aftermarket is $7.68 + shipping (although I'm buying a bunch of other parts on BL now, so the shipping is negligible). My question/conundrum is, if you were in this position, would you purchase original replacements or aftermarket replacements? Although I have no immediate intention of selling this set, I wonder if the aftermarket items would decrease the overall value I could get, or if it would only impact it as much as the difference of the two options? Thoughts? I might have a few stickered parts from a misc lot I got a couple years ago. I'll check on Saturday and get back to you. Thanks @Russell844, that would be awesome! Currently trying to determine if buying a used #41134 Heartlake Performance School would give me enough parts to MOC a new WV building? Any MOCers out there who could give an opinion? The price seems right, so I may just go for it based on that alone. But would rather not spend the extra cash that could be put elsewhere. Depends how much it is really. It doesn't leap out at me as having Winter Village potential. There's the shape of an Inn maybe, but it's very shallow, no roof and the purple and pink pieces would probably have to go. Windows and door are very modern looking, not really matching 50's style of the Winter Village buildings. Bus has potential with the lilac changed out. I think it would need a lot changed and plenty added to make it a go, but that's just my opinion. If it's really cheap it's possibly worth it. To clarify, I wasn't thinking of keeping the shape out layout at all, but utilizing the pieces to create something completely new. It's definitely priced reasonable, so no issues there. Just not sure I'd have enough even with the parts, to re-imagine something completely new and have it fit the existing theme. For the very first time today, the thought hit me that now that I have the Post Office, I'm only one 2009 Toy Shop set away from having all the main WV sets. I'm not much of a completionist, but I can't seem to shake it. For those who may own both versions, any thoughts you can give as to whether or not It's really worth it to own both? Obviously I could re-purpose it into something else or build it mirrored and combined it with my current one...but I could also do that with another 2015 version. I agree that a reverse build or slight colour change can add something to your village but unless you can pick it up for the same price as you can get the newer one, I would think you would be better off doing that with a second copy of the new set. The differences are minor but mostly improvements for the new version. The only thing I preferred in the original version was the brick built wreaths over the newer green rings. I put together one of JKBrickworks 4 reindeer sleigh bases tonight. Missing a few of the 2x2 Curved slopes and 1x2 clear tiles but otherwise it's complete. Fun build to piece together. I have pretty much zero experience with gears and motorization, so fingers crossed everything is put together correctly! I did notice that everything seemed to only operate one direction. I couldn't freely spin the gears with the motor unmounted both ways. For anyone who has built this, or others with more experience in mechanical builds, is that normal? The only thing I can think is that the red axle pins are binding up on the lip of the tiles when I spin it the opposite direction and, once the reindeer are actually on, it won't do that. I actually switched the battery box the wrong way and thought I broke everything from the sound it made. I just don't want my kids to switch it the wrong way if it truly is a one way operation. @Switchfoot55 , with the reindeer in place it will run both ways without any problem. I built mine after Christmas last year as I wanted to make permanent display pieces that I could store built as I don't have the time to rebuild the display every year as it's gotten to large. 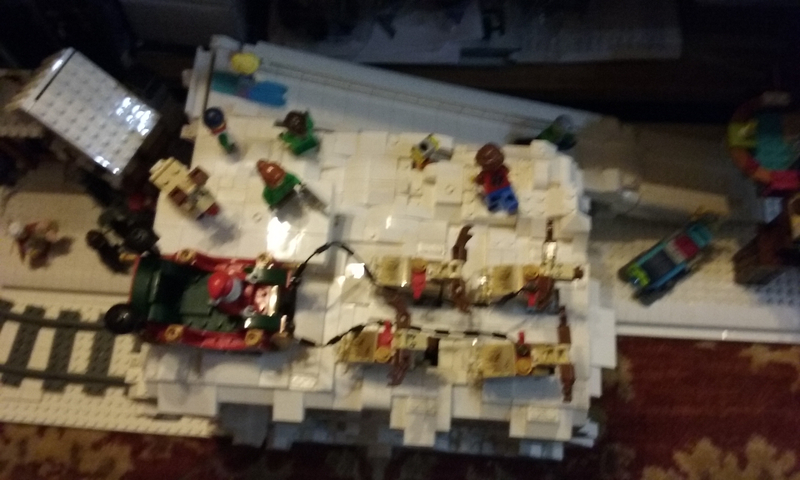 Here's the JKBrickworks sleigh I built, added onto a tunnel for my train to go through. I apologize for picture quality and size as I only have it on my phone. Mine also runs both ways without issues but I didn't try without reindeer. It's a bit noisy though, I recommend trying to box in the motor a bit. But it's a cool addition to the village! Thanks for the feedback! Glad to know I shouldn't run into issues when the reindeer are attached! I love that ski/sled hill @bandit778! I definitely want to have something like that eventually. Last year was my first year. I ended up taking everything apart to rebuild again for this year. However, with the addition of three more sets, plus the new WV set, and several other small builds I've been working on, it's unlikely I'll take everything apart the same way this year. I guess time will tell. As of right now, starting in mid to late October, we're going to do a family night, order in pizza, and build a set or two once a week. It'll make a month long event of the thing! With the likelihood of this years set being a Fire Station and my assumption it will come with a vehicle, it has me thinking that my village could use a few other vintage style vehicles. I'm not the best at MOCing up vehicles yet. I wanted to see if there were any other sets out there that have great vintage style vehicles that I could pull instructions/part lists for. Along the same lines, I really want to fill my village square with a lot of vendors/stalls/carts. I have a few Hot Dog carts. I think I also just found a Balloon Cart in a bulk lot I just purchased. 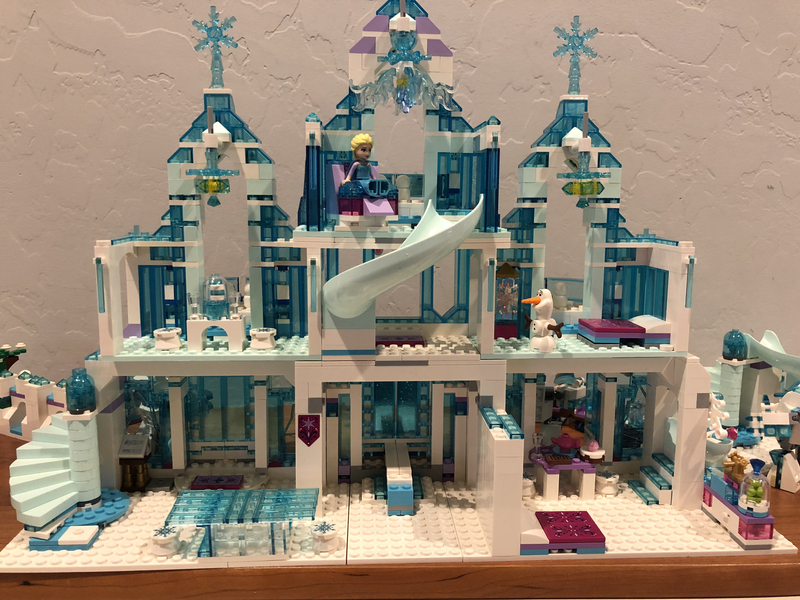 Any other sets/polys out there I could use either as a reference, or get parts for that others would recommend? The only one that comes to mind at the moment is #7682 Shanghai Chase. @Switchfoot55 There's some nice vintage car MOC's on Rebrickable, e.g. check some of the designs by De_Marcos (not all vintage). @gmonkey76 - I like that one too. It reminds me a bit of the one in #9463 The Werewolf set. @stlux, thanks for the direction. The one above is awesome. I'll have to look through the others. 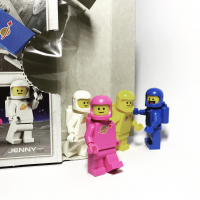 Not sure why Rebrickable didn't come to mind. *EDIT* that De_Marcos rabbit hole is deep. I may be in trouble! @hayduke, that truck is incredible! A definite add to my list of builds! finished @Mouseketeer’s Firehouse now, building 10263 but reconfiguring as (probably) a school as I don’t need 2 FH’s in my Village, and collecting bricks for @Mouseketeer’s Gingerbreadhouse. how’s your planning going, @Switchfoot55? Has anyone tried to bricklink the parts for @Mouseketeer ‘s gingerbread house? I love it but am already at my budget for winter village stuff.